4. 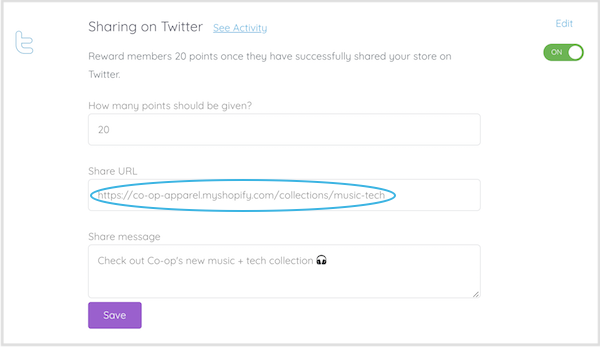 Under Share URL, add the URL that you would like your members to share. For example, a link to your online store. 💡 Quick Tip: This doesn't always have to be your store URL. 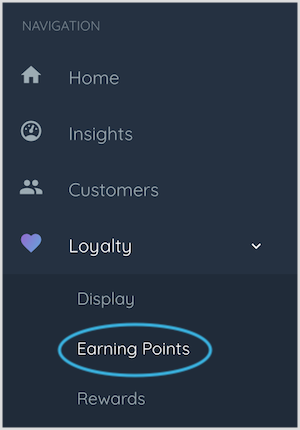 If you're launching new season stock, you could link to your new season collection page or share your loyalty program link, by adding /?loyal to the end of your store URL. 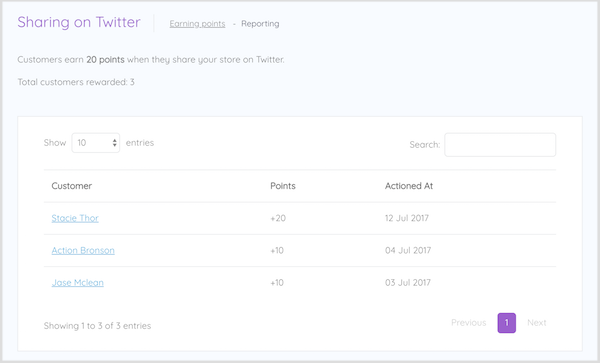 When your members log in to their account and visit the Earn tab of your loyalty widget, they will see your Share us on Twitter earn option. Here, they can click Share us on Twitter which will open a tweet, pre-populated with your Share URL and message. All they need to do is click Tweet. 📝 Note: Members can only get rewarded for sharing on Twitter once.